Visy has been in partnership with Domino’s for 20+ years and we look forward to continually pushing the boundaries of what we can achieve working together to innovate, create and reinvent. 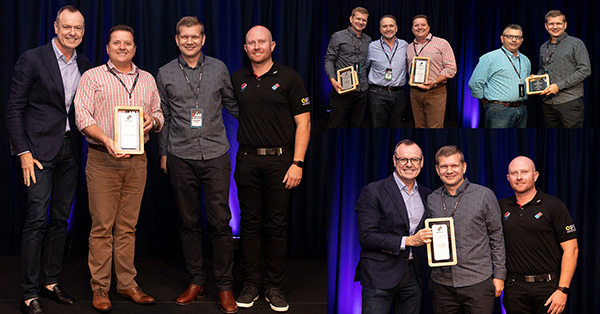 In presenting the Business Partner of the Year award, Domino’s CEO for Australia, New Zealand, Nick Knight, said “Visy exemplifies the true partnership spirit between a business and a brand. The passion for Domino’s within Visy is undeniable. They understand the importance of delivering a quality product and are always hungry to be better”. Congratulations to the entire Visy team for your ongoing commitment and dedication: Brendan Hughes, Wayne Dunne, Tony Simpson, Amanda Kleinert, Meagan Williams, Doug Pittard, Gerald Gonzalas, Jenna Riley, Caelum Cousins, Kathryn Upson and Aaron Riley.